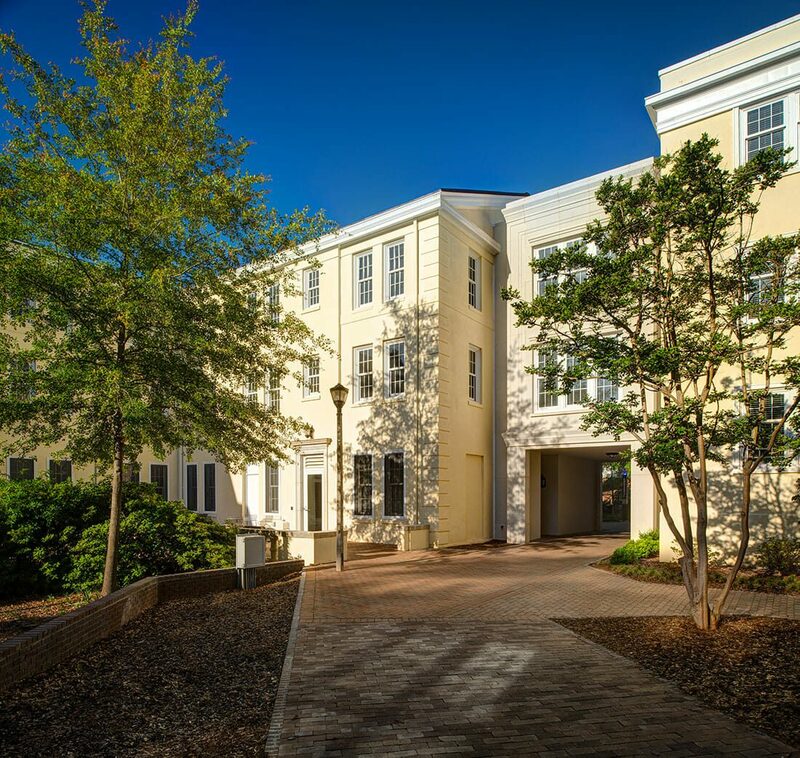 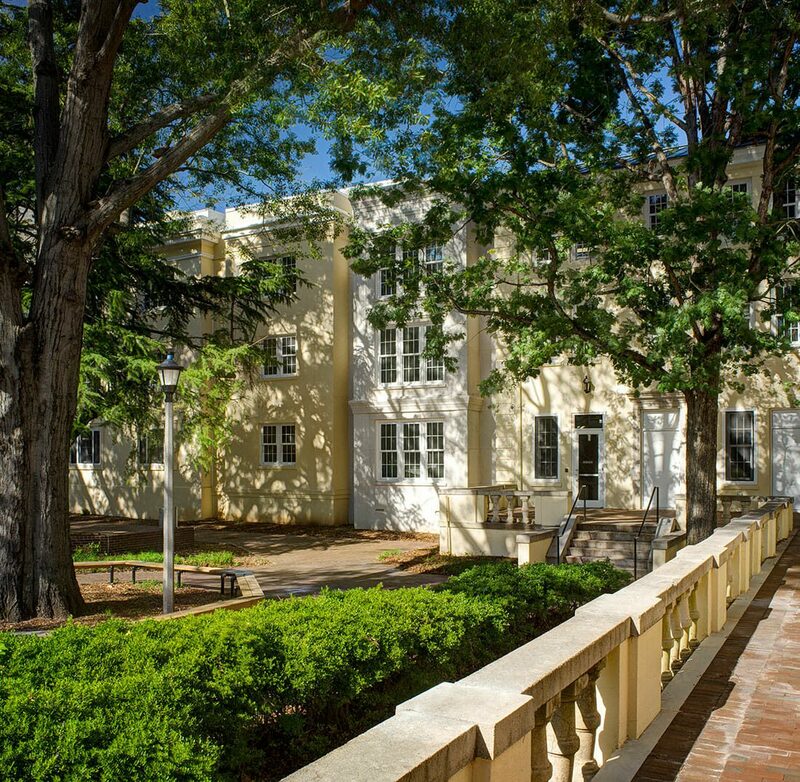 These historically significant residence halls – Sims, McClintock, and Wade Hampton – required substantial renovation to meet today’s student housing needs. 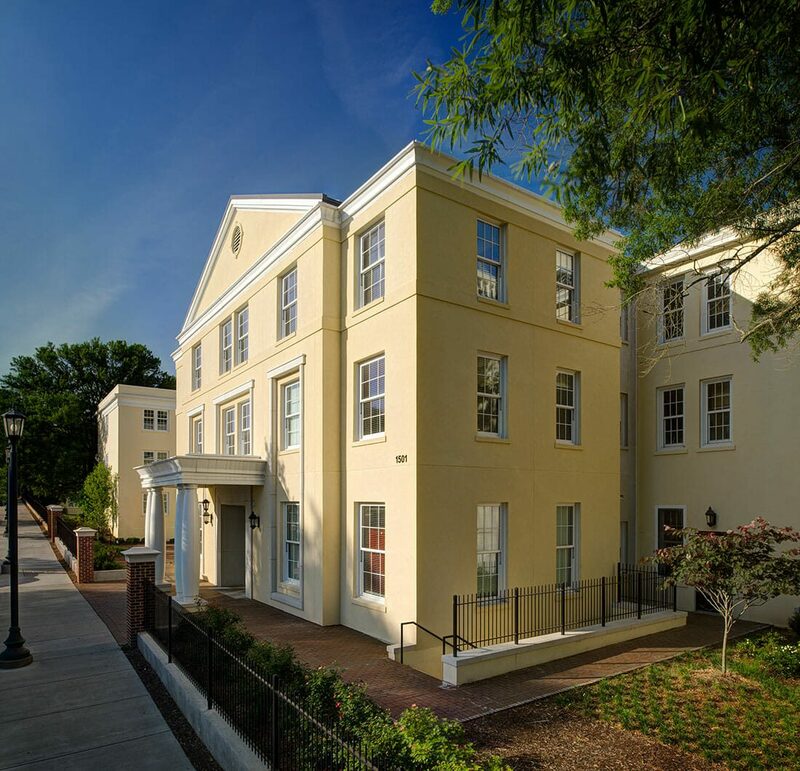 A complete demolition back to the structural frame was required to convert these traditional style dormitories into modern residence halls that would meet current building codes. 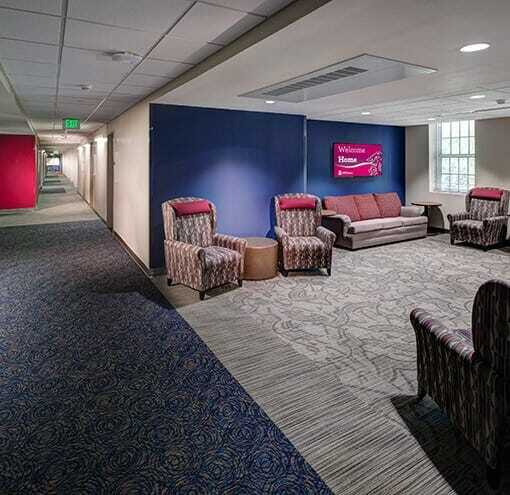 Following current campus and national trends, the first level of the buildings incorporates community spaces such as lounges, laundry rooms, classrooms, and other student support functions associated with campus housing. 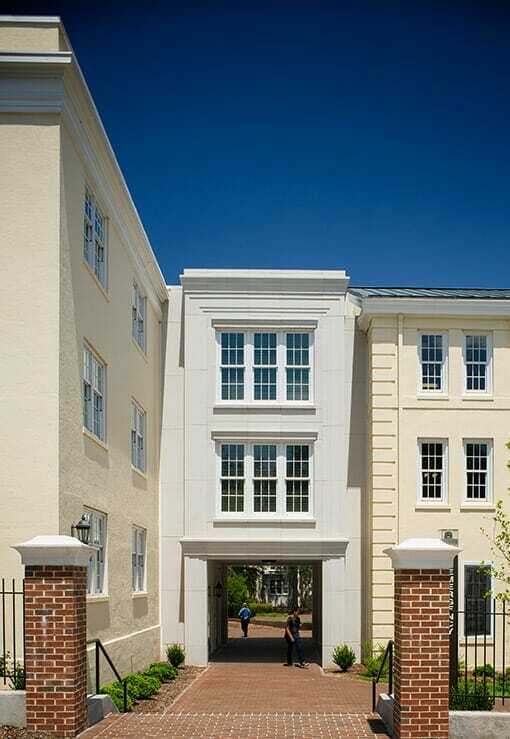 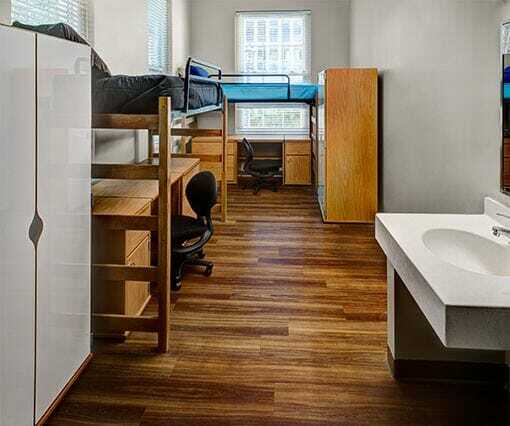 Newly designed suite-style dormitory rooms, to house 600 students, and associated living support areas create a modern living-learning facility, meeting the University’s housing needs. 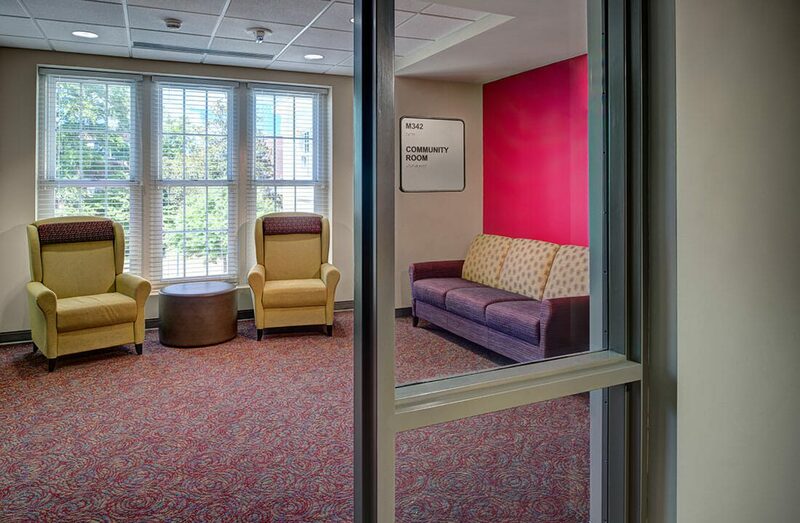 This facility, in pursuit of the University’s commitment to sustainable design, is seeking LEED Gold Certification.